The next Big Idea CONNECTpreneur FORUM is coming up this Thursday, September 11, 2014 in Tysons Corner, Virginia. Doug Humphrey, CEO of JETCO Research and Founder of DIGEX and Cidera, will moderate the Panel of Venture Capitalists and Angel Investors. Sid Banerjee, Founder and CEO of Clarabridge, will talk about his company’s story, growth, and bright prospects for the future. 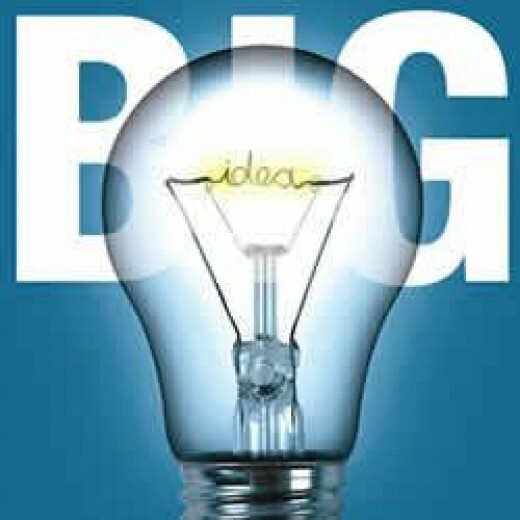 The Big Idea CONNECTpreneur Forums are quarterly gatherings of 300+ of the DC Region’s TOP Entrepreneurs, Business Leaders, CXOs, Angels, and VCs. The event is regarded by many as “The Best Networking Event in DC.” InTheCapital calls CONNECTpreneur a “NETWORKING JACKPOT” of the DC Region’s TOP Entrepreneurs, Business Leaders, CXOs, Angels, and VCs. Presented by appnetic, Tech 2000 and LORE Systems, this UNIQUE EVENT is like NONE OTHER in our region, because of the high quality of its attendees, speakers and presenters. And YES, the networking is unprecedented! The venue is the Tysons Corner Marriott in Tyson’s Corner, Virginia. A plated breakfast is included. CONNECTpreneur is a quarterly networking mashup, which has been attended by over 2500 business leaders in the past 3 years. We expect another SELL OUT crowd, so there will be no on-site registration. All attendees MUST BE pre-registered. Register now! Moderator: DOUG HUMPHREY, Serial Entrepreneur, Angel Investor, Internet Pioneer, President of JETCO Research; Founder and CEO of DIGEX and CIDERA. We expect 65+ angel and VC investors including Core Capital, Grotech, Novak Biddle, New Atlantic Ventures, Revolution Ventures, True Ventures, Edison Ventures, Amplifier Venture Partners, SWaN & Legend Venture Partners, RLMcCall Capital Partners, Multiplier Capital, Updata, Saratoga Investment Corp., DFW Capital Partners, Farragut Capital, NextGen Angels, CIT GAP Funds, New Markets Venture Partners, BluVenture Investors, Leeds Novamark, Maryland Venture Fund, TEDCO, 1776 / K Street Capital, Fortify Ventures, Acceleprise, US Boston, VentureCross Partners, Berman Enterprises, Dingman Center Angels, Neuberger & Co. Ventures, McLean Capital, Angel Venture Forum, Exhilirator, National Capital Companies, Enhanced Capital, MTECH Ventures, Mosaic Capital, Opus8, Starise Ventures, Blue Heron Capital, Duncaster Investments, Private Capital Network, Next-Stage Development Group, Lancaster Angel Network, Harrell Partners, Stanford Venture Advisors, MD Center for Entrepreneurship, Conscious Venture Labs, Great Falls Capital, Hafezi Capital, and Keiretsu Forum. The Big Idea CONNECTpreneur FALL FORUM will be held on September 10, 2013 at the Tysons Corner Marriott in Tysons Corner, Virginia. Seth Goldman, TeaEO of Honest Tea will do a fireside chat to discuss his new book, Mission in a Bottle: The Honest Guide to Doing Business Differently – and Succeeding. The Big Idea CONNECTpreneur Forums are quarterly gatherings of 250+ of the DC Region’s TOP Entrepreneurs, Business Leaders, CXOs, Angels, and VCs. Presented by LORE Systems and Tech 2000, Inc., this UNIQUE EVENT is like NONE OTHER in our region, because of the high quality of our attendees, speakers and presenters. The venue is the Tysons Corner Marriott in Tyson’s Corner, Virginia. A plated breakfast is included. CONNECTpreneur is a quarterly networking mashup, which has been attended by over 1200 business leaders in the past 18 months. This event promises to be our best one yet! S. TIEN WONG, CEO of Tech 2000, Inc. and Chairman of Lore Systems, Inc.
JOE BURKHART – Managing DIrector, Saratoga Investment Corp.
We expect 60+ angel and VC investors including Grotech, Novak Biddle, Core Capital, New Atlantic Ventures, Edison Ventures, Updata, Saratoga Investment Corp., DFW Capital Partners, Farragut Capital, Revolution Ventures, CIT, New Markets Venture Partners, Leeds Novamark, Maryland Venture Fund, TEDCO, DFW Capital, BluVenture Investors, 1776 / K Street Capital, Acceleprise, US Boston, VentureCross Partners, Berman Enterprises, Dingman Center Angels, Neuberger & Co. Ventures, Saratoga Investment Corp., Multiplier Capital, McLean Capital, Angel Venture Forum, Endeavor DC, National Capital Companies, Enhanced Capital, MTECH Ventures, Mosaic Capital, Opus8, Starise Ventures, Blue Heron Capital, Duncaster Investments, Private Capital Network, Next-Stage Development Group, Lancaster Angel Network, Harrell Partners, Stanford Venture Advisors, MD Center for Entrepreneurship, Great Falls Capital, Hafezi Capital, and Keiretsu Forum. Following is the unedited version of my December 19, 2012 Blog Post in the Washington Business Journal. News flash: Contrary to some reports questioning its relevance in the DC Tech community, MindShare is alive and well! This “exclusive forum” for CEOs of young and emerging tech companies is, in fact, thriving and very active! In early December, I graduated along with 51 other Classmates. Over 200 people including MindShare alums, Organizing Board members, VIPs and sponsors packed the upstairs dining room for the ceremony at Clyde’s in Tysons Corner. We now have 665 alums, with notables including Charlie Thomas (Net2000 and now Razorsight), Phillip Merrick (webMethods), Amir Hudda (Entevo and now startup naaya), Rick Rudman (Vocus), Reggie Aggarwal (Cvent), Joe Payne (Eloqua), and Tim O’Shaughnessy (LivingSocial), and Henry Sienkiewicz (DISA and Open Travel Software). Nominations for the Class of 2013 closed in mid-December, and demand was super high. MindShare History – In 1995, Harry Glazer and Anne Crossman, with the support of Kathy Penny, were chairing the Northerm Virginia Technology Council’s Emerging Business Committee, which sponsored informal “coffee and bagels” meetings for regional entrepreneurs. They attracted great speakers, and the format was very similar to the format used by MindShare today. At the beginning of each meeting, attendees would introduce themselves and give an “elevator pitch” on themselves and their companies. These intros would be followed by speakers, and then end with further networking. By 1997, Harry and Anne formalized these meetings into MindShare. The mission, from the start, was to provide a forum for CEOs of emerging technology companies to get to know the leaders of other early-stage companies, to learn from each other, and to interact with experts on subjects that were relevant to their growing businesses. At the end of the first year, the Organizing Board of senior leaders in the community decided that the members of the group would “graduate” and become alumni, and a new “class” of members would be selected for the following year. The organization quickly began to develop serious awareness and cachet as Washington Technology referred to a MindShare invite as “the hottest ticket in town,” and the group had no problem recruiting 40-50 CEOs from the region’s most promising early-stage growth companies. Even as the tech bubble deflated, MindShare continued to grow more prestigious and continued to attract the most promising entrepreneurs in the region. Fast forward to today – the MindShare alumni network is a thriving “Who’s Who” of tech entrepreneurs and CEOs in the region. Events and reunions are incredibly well attended, and alums stay connected and help each other through the ListServ, which is one of the most valuable and effective databases of its kind in the region. At December’s CIT GAP 50 Entrepreneur Awards, 45 of the 93 finalists (and 11 eventual winners) were MindShare alums including several from recent Classes. So I guess I am saying that MindShare is one of the anchors of our community. It’s played and will continue to play a critical role in binding together the region’s top tech CEOs, and helping the “next generation” of tech companies succeed. With 665 alums, the vast majority of whom are still active as CEOs, angels, mentors, and Advisors, MindShare is a force for good, and as one of the cogs in the wheel that is the DC regional tech community. I am very grateful to benefit from all the great things that have come out of MindShare. One of my greatest sources of joy is being able to get into the classroom and interact with groups of smart, ambitious, idealistic people. I love the energy, the passion and creativity that awesome academic institutions like Georgetown foster among their students. I was invited by my good friend, Professor Jeff Reid, head of Georgetown University’s Entrepreneurship Initiative at the McDonough School of Business to speak to his MBA class today about the “Power of Entrepreneurship.” Jeff is a national leader and pioneer in Entrepreneurship education, having built one of the world’s top entrepreneurship centers at UNC; and now he’s building an amazing entrepreneurship program at Georgetown. The class consisted of about 40 MBA students, about 2/3 of whom intend to start their own business either now or in the future. I only got through about 20% of my originally planned remarks because of the questions and great dialog that ensued. We covered a lot of ground including making a go/no go decision on starting a company, sacrifice and hard work, life balance, challenges of growth, dealing with employees who can’t keep up, getting inspiration to start a business, doing business in Brazil…and China, etc. 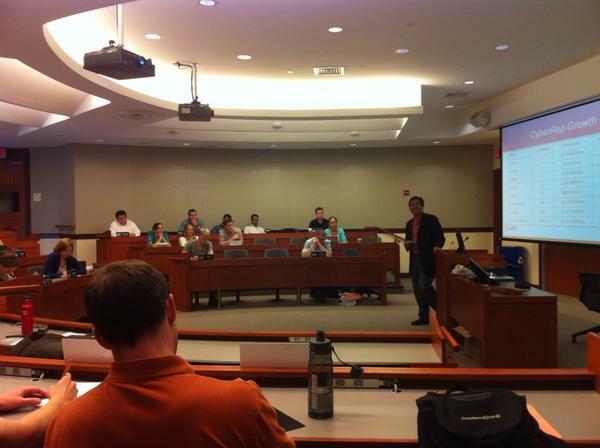 I am fortunate to speak at MBA and undergrad classes at Georgetown and Maryland relatively often. Just last week, I spoke in Professor Will Finnerty’s class on Entrepreneurship, one of the highest rated and highest demand classes at the McDonough School. Will teaches as much about life as he does about business, with a focus, passion, and attention to detail which I have rarely seen in a classroom. More details on these bullet points can be found in two of my prior Blog posts: Winning Advice for Aspiring Entrepreneurs Part1 and Part 2. LORE SYSTEMS is pleased to host our quarterly Big Idea CONNECTpreneur Forum, one of the most exciting angel and entrepreneurship networking forums in the DC Region on September 13, 2012 at the Tysons Corner Marriott. Please come out! CLICK HERE to Register via the Eventbrite link. The Big Idea CONNECTpreneur FALL Forum is a “NETWORKING MASHUP” of 210+ of the DC Region’s TOP Entrepreneurs, Business Leaders, CXOs, Angels, and VCs. Most of the attendees are “INVITATION ONLY,” and we are limiting service provider participation in order to maximize the experience for our Attendees and Sponsors. Presented by LORE Systems, this UNIQUE EVENT is like NONE OTHER in our region, due to the high quality of our attendees and participants, as well as our program and unprecedented networking. Come see what happens when you put a group of “A List” business leaders and entrepreneurs in one room for a few hours! The venue is the Tysons Corner MARRIOTT. A plated breakfast and unlimited coffee are included. Chairman & CEO, CAIVIS Acquisition Corp.
Over 120 CEOs/Presidents, plus 40+ angel and VC investors including New Enterprise Associates, Novak Biddle, Core Capital, CIT, Blu Venture Investors, Blue Water Capital, Dingman Center Angels, Neuberger & Co. Ventures, Saratoga Investment Corp., Washington DC Archangels, Angel Venture Forum, Fortify.vc, Endeavor DC, Maryland Venture Fund, National Capital Companies, Enhanced Capital, White Hall Capital, MTECH Ventures, Mosaic Capital, Opus8, VentureCross Partners, McLean Capital, Starise Ventures, Blue Heron Capital, Duncaster Investments, Private Capital Network, Next-Stage Development Group, Berman Enterprises, Grindstone Partners, Next Stage Development Group, Atlantic Capital Group, Lancaster Angel Network, Harrell Partners, Stanford Venture Advisors, MD Center for Entrepreneurship, Skada Capital, Great Falls Capital, Bayberry Capital, Hafezi Capital, Keiretsu Forum, and CADRE. LORE SYSTEMS is pleased to host our quarterly Big Idea CONNECTpreneur Forum, one of the most exciting angel and entrepreneurship networking forums in the DC Region on June 6, 2011 at the Tower Club in Tysons Corner, VA. EVENT IS NEARLY SOLD OUT!! The Big Idea CONNECTpreneur Summer Forum is a “NETWORKING MASHUP” of 165+ of the DC Region’s TOP Entrepreneurs, Business Leaders, CXOs, Angels, and VCs. Most of the attendees are “INVITATION ONLY,” and we are limiting service provider participation in order to maximize the experience for our Attendees and Sponsors. The venue is the Tower Club in Tyson’s Corner, Northern Virginia’s premier private business club. A plated breakfast and unlimited coffee are included. Over 60 CEOs, 30 CXOs, plus 40+ angel and VC investors including Novak Biddle, Core Capital, New Atlantic Ventures, CIT, Capital Source, Blu Venture Investors, Blue Water Capital, Angel Venture Forum, Fortify.vc, Endeavor DC, Maryland Venture Fund, MTECH Ventures, Maryland DBED, Opus8, VentureCross Partners, McLean Capital, National Capital, Starise Ventures, Dingman Center Angels, Blue Heron Capital, Washingon DC Archangels, Private Capital Network, Next-Stage Development Group, Berman Enterprises, APPTEL, Ironbird Capital, Lancaster Angel Network, Stanford Venture Advisors, MD Center for Entrepreneurship, Skada Capital, Royal Oak Capital, Great Falls Capital, Hafezi Capital, Keiretsu Forum, and CADRE. Guest Blog Post from Marissa Levin, CEO of Information Experts and Founder of Successful Culture, a new business dedicated to helping entrepreneurs and business leaders build successful cultures within their organizations. Marissa was a guest at Lore Systems’ Big Idea CONNECTpreneur Spring Forum on March 7, 2012 and Seth Goldman, Co-Founder and TeaEO of Honest Tea, was one of our featured speakers on the “Entrepreneurship with a Higher Purpose” panel. This post was written on March 13, 2012 and can be found on Marissa’s awesome new Blog, Successful Culture. Imagine pitching your idea to 1,000 investors. Over and over and over again. A little insane, right? Not if you’re Seth Goldman, TeaEO of Honest Tea. 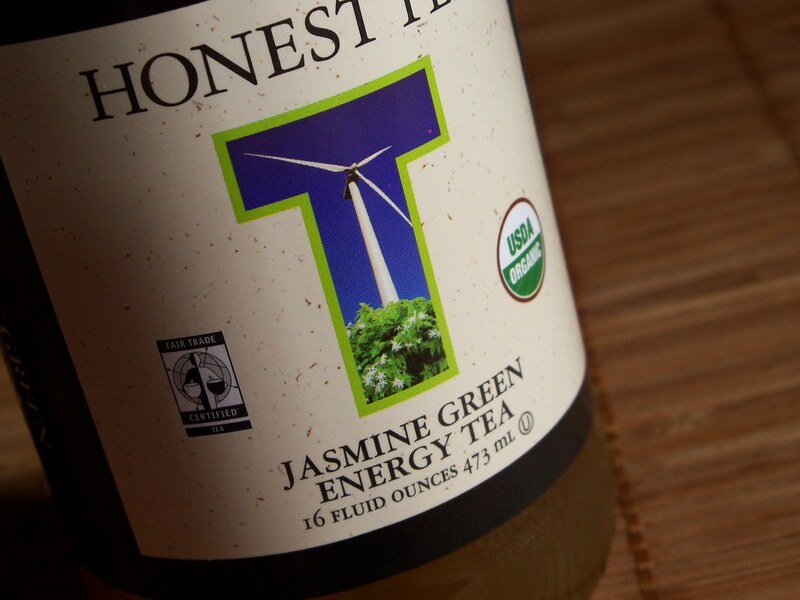 When we think of Honest Tea, we think of a delicious beverage, and a wildly successful business. Seth shared the struggles of his early days with 300 business leaders at the sold-out ConnectPreneur Event in the DC region, architected by global serial entrepreneur and angel investor Tien Wong, CEO of Lore Systems (www.lore.net). The question on everyone’s mind – which was asked – was, “How did you keep going?” All entrepreneurs seek the answer to this question from others that travel the path of business ownership. What is the magic bullet -the secret sauce – that gives us the strength to keep pushing when we are seemingly out of options? In addition to the initial 1,000+ calls, Goldman had to ruthlessly follow up with potential investors. Follow-up apparently is just as important as the initial contact. “You need to be ruthless with your follow-up. You can’t ever quit. Your follow-up is a good indication of your commitment to what you are trying to build, and to your work ethic. Some we talked to for years before they came on,” he said. Seth’s tenacity is an inspiration to anyone trying to make their entrepreneurial mark. Equally inspiring is his commitment to his core values, and his refusal to relinquish what matters most to him – providing healthy products that consumers feel good about drinking. Coca-Cola now owns 40% of Honest Tea. The mammoth company’s management is like a bull in a china shop. This, however, doesn’t sway Goldman from his values. “Coca-Cola wanted me to remove “No High Fructose Corn Syrup!” from our labels. I asked if this was a legal or regulatory requirement, and it wasn’t,” he explained. Finally, Coca-Cola relented, and conceded that as a minority owner, they couldn’t force Honest Tea to remove the labeling. Goldman boiled successful entrepreneurship down to the two basic tenets that we all inherently know: 1: A steadfast, laser-focused, driven commitment to what we are building, in which we will do whatever we need to succeed, and 2: A passionate belief in the change we are trying to make. Thanks to Tien Wong (follow him on Twitter: @tienwong, and subscribe to his blog – Winning Ideas at (https://tienwong.wordpress.com/) for helping to quench the entrepreneurial thirst for learning with a great event! 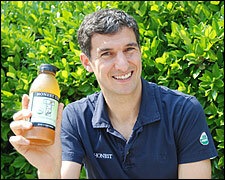 And thanks to Seth Goldman (@HonestTea) for showing us what happens when you never ever ever ever ever give up. Featured image courtesy of “A Girl With Tea,” licensed via creative commons.